You will never lose sight of the stunning Green Z-Hunter Knife when battling the living dead. This vibrant weapon is sure to provide you with a unique killing tool that can easily adapt to any situation you may face. 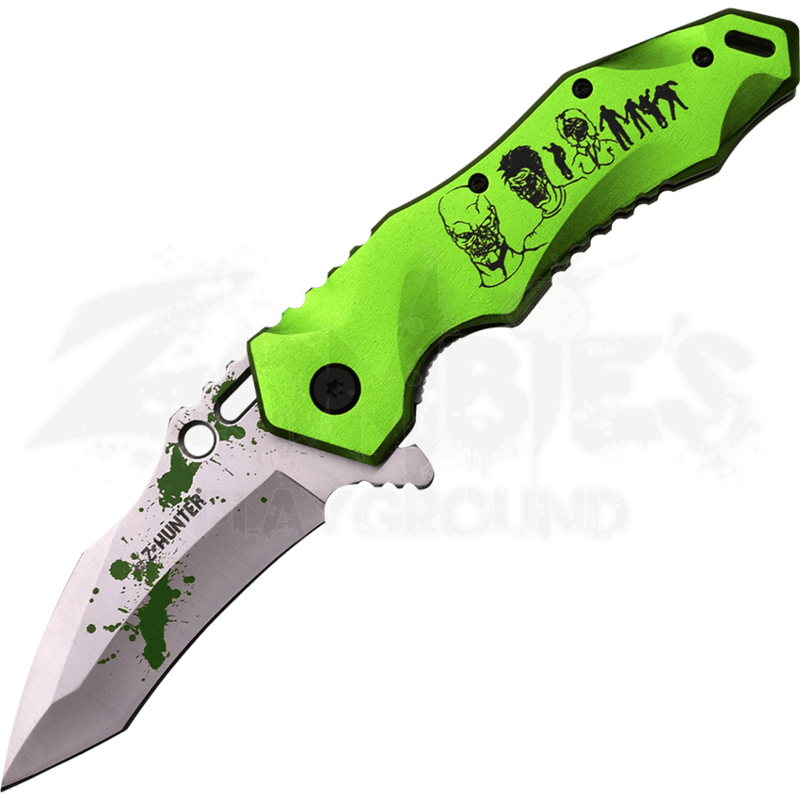 This spring assisted blade is stainless steel with green blood splattered on it and a Z-HUNTER engraving. The versatile tanto style blade can be easily engaged with the flipper. The neon green handle is contoured and textured for a true grip and features a graphic with a group of zombies heads and silhouettes. The grip also has a loop so you can attach a lanyard and there is a pocket clip for a more conventional carry method. 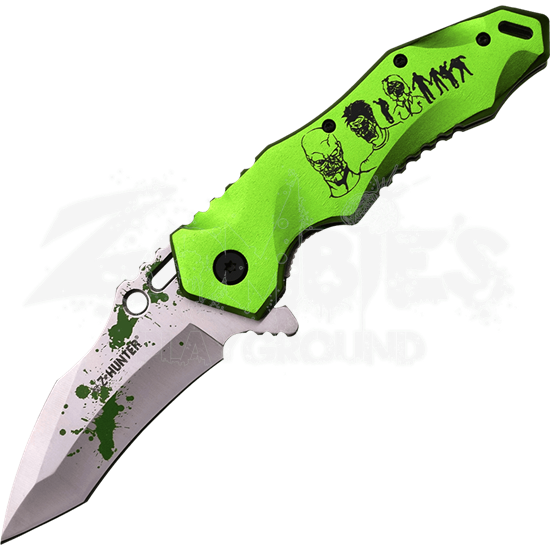 You do not want to find yourself in the middle of a herd of zombies without the devastating Green Z-Hunter Knife.